Just a few days after becoming a dad for the fourth time, soccer star David Beckham says he wants to have one more child. He and wife Victoria are already parents to three boys and one baby girl. The Beckhams have seen their dream come true earlier in July, when their first baby girl was born. Both David and Victoria were surprised to hear that, after having three boys, the fourth baby is a girl. Harper Seven was born on July 10 (a Sunday morning) at Cedars Sinai hospital in Los Angeles, weighing 7lbs 100 oz. The couple wrote on Twitter that they are “delighted to announce the birth of their daughter”. The Beckhams already had three boys: Brooklyn Joseph, who is 12, Romeo James, who is 8, and Cruz David, who is 6. 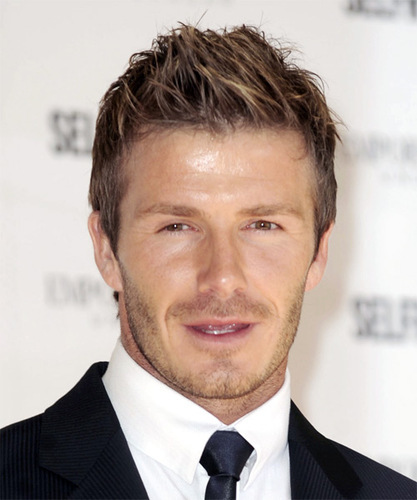 Now, after baby Harper Seven was born, David Beckham told Associated Press that he wants one more child. “If we’re lucky enough, then we hope to have one more”, the 36-year-old celebrity dad said. Beckham is known to be a really god dad and this was confirmed again on Thursday, when he was spotted on the Malibu beach spending some quality time with his sons. The family has rented a home near the beach for 158,000 dollars per month. The Beckham boys were on the beach. Romeo and Cruz stayed on the sand, while David and his oldest son, Brooklyn went surfing.